“The Karate Kid” opens on June 11, 2010 everywhere. The film stars Jackie Chan, Jaden Smith, Taraji P. Henson and Tess Liu from director Harald Zwart and writers Christopher Murphey and Robert Mark Kamen. The film is produced by Will Smith and Jada Pinkett Smith. 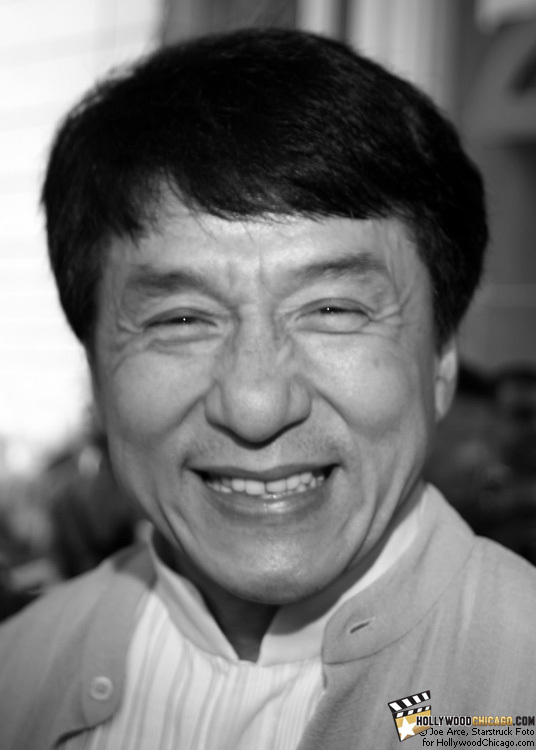 Here we feature exclusive photos of Jackie Chan and Jaden Smith. You can click “Next” and “Previous” to scan through this slideshow or jump directly to individual photos with the captioned links below. Credits for these photos go to Joe Arce of Starstruck Foto. jackiechan: “The Karate Kid” star Jackie Chan in Chicago on May 26, 2010.
jadensmith: “The Karate Kid” star Jaden Smith in Chicago on May 26, 2010.
jackiechan_jadensmith: Jackie Chan and Jaden Smith. Read our “The Karate Kid” interviews with Jackie Chan and Jaden Smith.